We often get asked what makes LGBT personal finance unique. Isn’t money the same for everyone? There are big differences, as you’ll see below. As with the Pareto Principle, 80% of money is the same for everyone. You earn it, you spend it, you save it, you give it – not a whole lot of differences. It’s the other 20% that has the biggest impact on the 80%. This 20% is the communities we identify with, the places we live and the money story we learn at a young age that affects how we earn, spend, save and give. It’s this 20% that makes LGBT personal finance not only different but, in many cases, even more important than other communities. Although public sentiment’s shifting in our favor, it’s only been in the past five to ten years that systematic condemnation of LGBT people in our churches, classrooms, in media or by politicians has started to wane though not disappear. When a child grows up believing they’re less than, they’re evil and they shouldn’t be allowed to exist, there exists a lack of self-worth. This can translate into thoughts and actions that adversely affect our money stories. We may use spending to make ourselves feel better. We may grow compulsive to prove we’re worthy by over-achieving with our physical fitness or we sink into a depression that prevents us from maintaining jobs and relationships. Often, we ignore our finances. For many in the LGBT community, thinking about their personal finances is too high on Maslow’s Hierarchy of Needs. When their primary needs aren’t being met, their personal finances often suffer. In the Western world where we make success and consumption important, not attaining the social benchmarks of success can amplify a person’s limiting beliefs. As the 2018 Prudential Financial Wellness Census pointed out, 1-in-7 non-LGBT men and 1-in-10 non-LGBT women purse and have jobs in the high paying areas of tech, sciences and the professions, compare to 1-in-12 LGBT women and 1-in-25 LGBT men. With numbers like this, it’s easy to see why there’s a gender identity/sexual orientation wage gap. Those with top-earning jobs are traditionally heteronormative. What we earn has a huge impact on LGBT personal finance. As we have found in working with the LGBT community to improve its personal finances, many feel they can’t make progress simply because they’re living paycheck to paycheck or worse. Additionally, the LGBT community takes on more student loan debt in an effort to earn more. Yet that education isn’t translating into higher paying jobs. 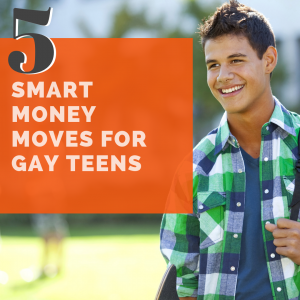 Another big factor in LGBT personal finance is our choice of where we live. Although upwards of 25% of the LGBT community lives in rural and small towns, the majority who wants to live a life where they can feel safe being out and themselves, “run off to the city.” These cities have higher costs of living. Cities such as San Francisco, New York, Chicago, Los Angeles are considered some of the best places to live and work if you’re LGBT. They also rank as the most expensive. Couple this with the wage gap, and it’s no surprise that many LGBT folks struggle financially. Achieving financial security just doesn’t seem viable for many LGBT people. This means we must be more financially organized. I’ll just ask the question, “when was the last time you saw a financial service commercial or print/online ad with an LGBT person or couple?” Every year thousands of commercials are presented on television, online, in newspapers or financial magazines, and we’re simply not being represented. We’re keen on this kind of information and, from what we can remember, we can count such inclusive financial services ads on one hand. That means less than 1% of financial services ads include LGBT people. There aren’t even enough to be counted online in research. We looked! It’s part of our job as LGBT personal finance experts to research this, and we can only find a couple of inclusive examples by Prudential, Wells Fargo and MassMutual. If we’re invisible to the financial services organizations, how can financial services companies expect us to think about our financial futures? It’s rare that any of these companies think about our financial wellness. When many of us think about a financial advisor, banker or stockbroker, what comes to mind? We all typically think of the good ol’ boys club, the group of guys either out for a beer after a day of trading or on the golf course making deals. Ask yourself, “How has that stereotype typically interacted with gay men? Lesbians? Trans people? Typically, they’ve bullied us, picked on us and called us names when in school. These aren’t the kind of people most of us want to sit down and talk about our personal finances with or disclose we love and are responsible for. Even if the stereotype isn’t accurate all the time, it makes sense why many of us avoid this interaction. Couple that with the lack of LGBT inclusion from the corporations, and there’s a big barrier to connection and communication. Thus, many LGBT people don’t have a trusted financial advisor, which translates into us not using or gaining access to the tools that can help with our financial security. Whether you’re LGBT or not, it may come as a surprise that it’s still legal in 30 states in the United States to fire someone based on their LGBT-status. Additionally, we can be denied housing and human services for the same reason. How does this affect LGBT personal finance? Here are several examples. Income: For many LGBT people living in these 30 states, they’re less likely to progress in their careers if they’re in a long-term relationship because as they progress, they become more visible. As they become more visible, their personal life is more on display. If they come out or are outed as LGBT, they could be fired. Whether based on facts or perception, many hide at work and are, thus, overlooked for promotions with higher pay. Emergency savings: Because we lack housing, employment and services protections, LGBT must be more prepared. So, we must set aside a significantly higher amount of savings for emergencies because we’re more inclined to experience related emergencies. Marital benefits: Even though marriage is legal in all 50 states, in states without LGBT protections many choose to not marry. They do this because marrying could expose them. That means the over 1,000 laws and benefits of marriage, such as Social Security Survivor and Spousal Benefits, are passed up. Whether on Facebook or in the news, regularly LGBT people are attacked from the political right. Be it “religious freedom” bills, conversion therapy, the ability to adopt, serve our country in the military or simply living in the 30 states mentioned above, basic access to jobs and housing, the LGBT community continues to fight for our rights. Because of this constant struggle, our community’s called up to give financially, donate our time and subjects ourselves to such attacks. This means our time, energy and money that could be put to work in aspirational ways are being diverted to defending and advancing our rights. Despite this, we must dedicate small amounts of our time and money to improve our basic financial outlook. So, the next time someone asks how things are different for you as an LGBT person, share these seven LGBT personal finance differences. Show them that equality still has a long way to go in 2019. Then, ask them to join you in improving things for our community, even if it is just through education. 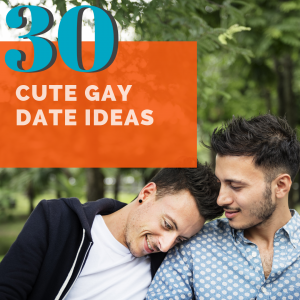 Click here for a list of LGBT personal finance blogs to grow your knowledge and spread the message of a financially strong LGBT community. Share this list with your friends. Click the image below and share on your favorite Pinterest board. Nice list – I hadn’t thought of #3 but that’s so true. My wife is an HIV social worker in San Francisco, and she sees so many clients who have moved to SF because it is a city of refuge, and then they end up in serious financial trouble because the line between financially solvent and not is so thin in expensive cities like SF. To add to the list is the cost of having family if you’re LGBT. Whether fertility treatments, adoption, or surrogacy – it’s all incredibly expensive and a major financial challenge for LGBT people who want kids. Absolutely Jen. 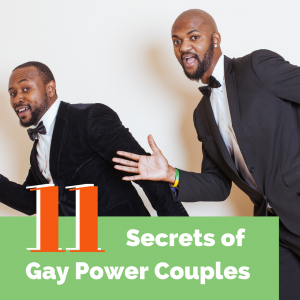 Having a family for many queer couples or individuals can easily skyrocket. When I met my ex, he had just found out that he and a lesbian friend were pregnant. We had a son and the costs of fertility, insemination, legal work to protect both parties and being a dual household single+ income was extremely expensive. Although my ex made good money, we stressed financially because we were supporting two houses and 4 people on his full time and my part-time income.